Dixon, K and Janks, H. (2018) Location and dislocation- spatiality and transformation in Higher Education. In Pattman, R. and Carolissen, R. (Eds). Transforming transformation in Higher Education in South Africa. Cape Town- Sun Press. 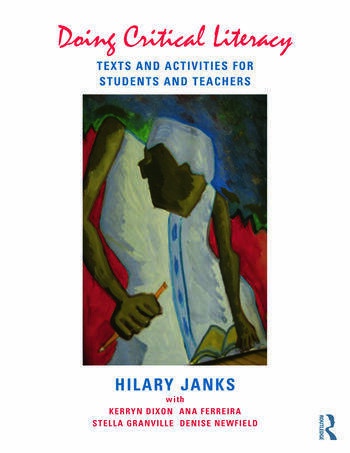 Janks, H. (2018) Pathways to critical literacy- A memoir of history, geography and chance. In- J. Justice and Tenore, B. Becoming Critical Educators. London and New York- Routledge. Janks, H. (2014) Xenophobia and the construction of the Other. In Prinsloo, M. and Stroud, C. Educating for Language and Literacy Diversity Mobile Selves. Basingstoke and New York- Palgrave Macmillan. Ferreira, A., H. Janks, I. Barnsley, C. Marriott, M. Rudman, H. Ludlow, and R. Nussey (2012). ‘Reconciliation pedagogy in South African classrooms: from the personal to the political. P.‪Atkinson, S , P., Hattam, ‪R. and Matthews, J. (Eds) Reconciliation and Pedagogy Postcolonial Politics. New York: Routledge. Ferreira, A. and Janks, H. (2011) ‘Reconciliation pedagogy, identity and community funds of knowledge- border work in South African classrooms. In Sefton-Green, J., Thomson, P., Jones, K. and Bresler, L. (Eds) The Routledge International Handbook of Creative Learning. London and New York: Routledge. Janks, H. (2011) “May you live in interesting times”- Critical Literacy in South Africa. In Dunston, P., Gambrell, L., Headley, K., Fullerton, S., Stecker, P., Gillis, V. and Bates, C.(Eds) 60th Yearbook of the Literacy Research Association. Janks, H. (2010). Language as a system of ‘meaning potential’- the reading and design of verbal texts. In Locke, T. (Ed). Beyond the Grammar Wars. New York- Routledge. Janks, H. (2010). ‘Language, power and pedagogy’. In N. Hornberger and S. McKay (Eds). Sociolinguistics and Language Education. Clevedon: Multilingual Matters. Dixon, K. and Janks, H. (2010). ‘From poster to PhD: The evolution of a literature review’. Walker, M. and Thomson, P. (Eds.) The Routledge Doctoral Supervisors’ Companion. London: Routledge. Janks, H. (2009). Chapter 3. ‘The language teacher’s repertoire: What effective teachers should know and be able to do’ In Ferreira, A. (Ed). Teaching Language. Braamfontein: Macmillan. Janks, H. (2009) Chapter 15. 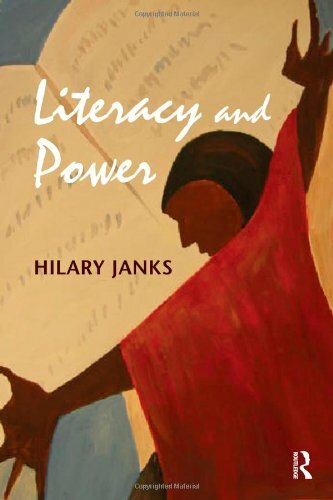 ‘Critical Language Awareness: Teaching the relationship between language and power’. In Ferreira, A. (Ed). Teaching Language. Braamfontein: Macmillan. Janks, H. and Comber, B. (2006). ‘Critical literacy across continents’. In Pahl, K. and Rowsell, J. (Eds). Travel notes from the New Literacy Studies: Instances of Practice. Multilingual Matters. Janks, H. (2003) ‘Seeding change in South Africa: new literacies, new subjectivities, new futures’. In Doecke, B, D Homer and H Nixon (Eds). English Teachers at Work. South Australia: Wakefield Press and the Australian Association for the Teaching of English.